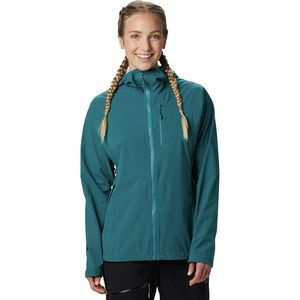 "Black Diamond's new rain shell that is stretchy and really waterproof"
"The ultimate rain shell - made of 3 of Gore-tex's best membranes: Pro, Paclite, and C-Knit"
"One of the best most comfortable rain jackets out there. 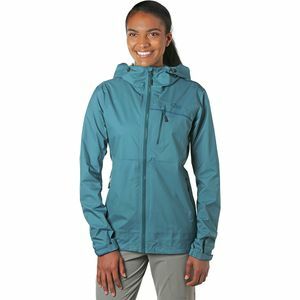 Super soft and stretchy outer fabric that is completely waterproof"
"Outdoor Research's newest award winning jacket that weighs only 10 oz and is constructed with a 3 layer waterproof/breathable membrane"
"So comfortable and stretchy you wouldn't even know they were rain pants. 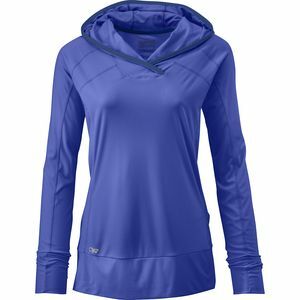 Very soft, waterproof, and breathable. 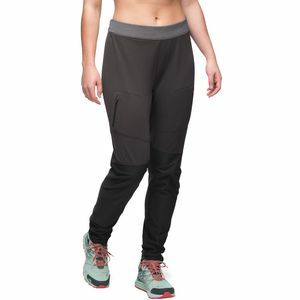 You can also wear these as regular hiking pants when it is cold out. Not crinkly-nylon fabric like most rain pants. See full review that I did on the product page. Full length zippers are great, too!" 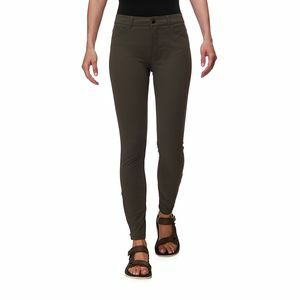 "Really solid pants for a great value. No stretch, but do have full-length zippers. 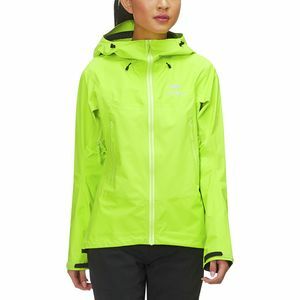 The Precip jacket is another great option if you want a good rain jacket for a value price. " 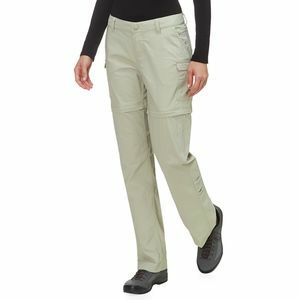 "Gore-tex Paclite fully waterproof pants." 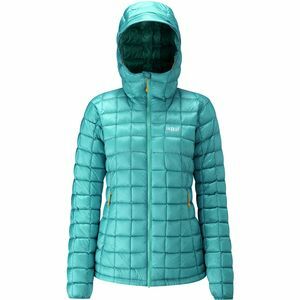 "Great all around down jacket. 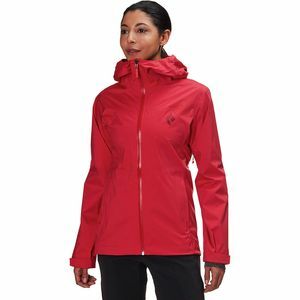 Very warm for the weight and has 850-fill down water-resistant down with a water-resistant Pertex shell." 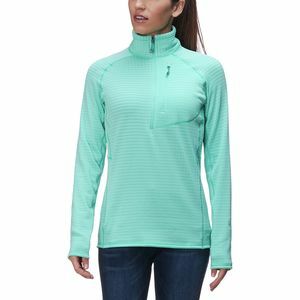 "Very warm and breathable synthetic jacket. 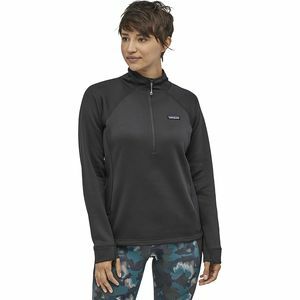 Same warmth as a typical down sweater, but stays warm even when wet. 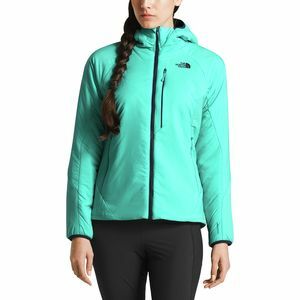 Very lightweight and packable for a synthetic jacket and even has vents all around it so if you are hiking in it you won't get too hot (I don't recommend actually hiking in it unless you are in 40 degree or less temps)." 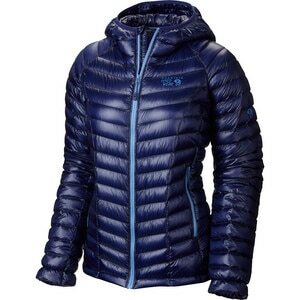 "Extremely lightweight and warm down jacket. Not the warmest, but incredibly warm for its 7oz weight." 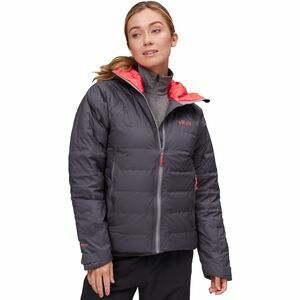 "Really warm down jacket for very cold temperatures. The warmest of my recommendations." 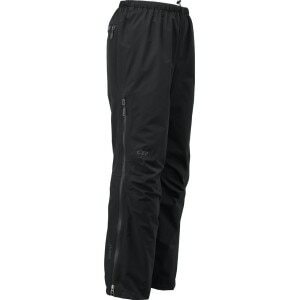 "Very warm for its weight and made of Polartec Powerstretch. Could also be considered expedition weight baselayer. Pants go with it below. See full review on the product page." 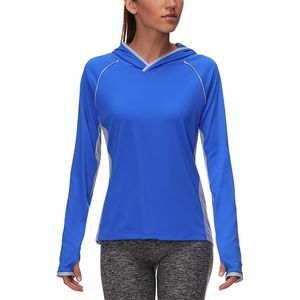 "The classic midlayer fleece for all outdoor activities. It is made of mini-grid squares that trap heat. Warmest of the bunch. Check to see if the hooded version is available for max warmth." 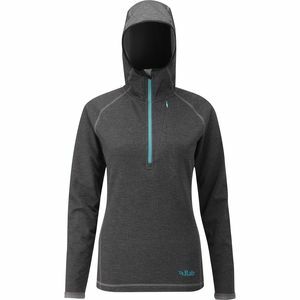 "Not quite as warm as the Patagonia R1 or Crosstrek, but still very warm and comfortable. Has micro-grid squares to trap heat. See review on product page." "Very similar to the others, just Rab's version. Very warm and comfortable! Pants below to go with it." 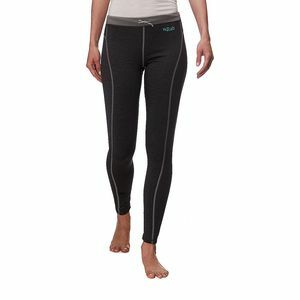 "Cold weather trekking tights. They have gotten rave reviews and frequently sell out. " 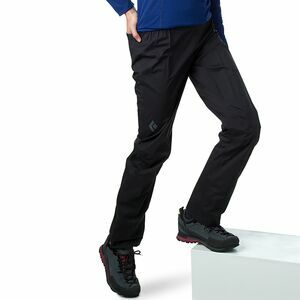 "Very warm and comfortable trekking tights. 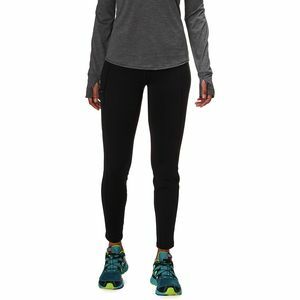 Has water-resistant Flash Dry fabric from the knee down to keep you dry in mud or snow." 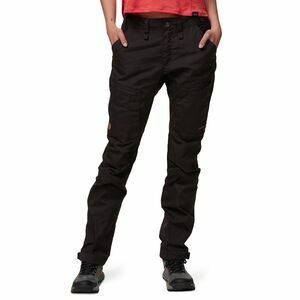 "Classic hiking pants that come in a variety of colors, waist/inseam sizes. 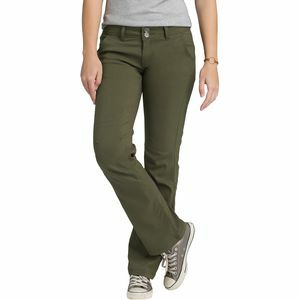 Made of stretch fabric and convert into capri pants." 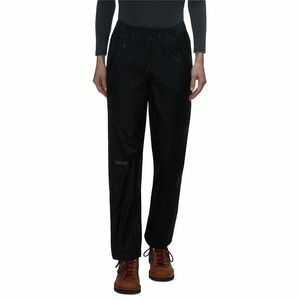 "Stretchy, heavy duty hiking pants "
"Really comfortable hiking pants that convert into shorts. Also comes in a variety of colors and inseam/waist sizes. 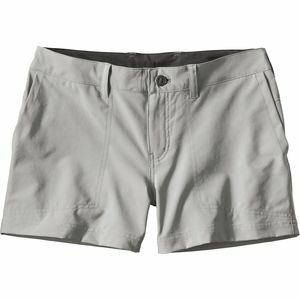 Dry quickly and the shorts could also double as river shorts because they dry so fast." 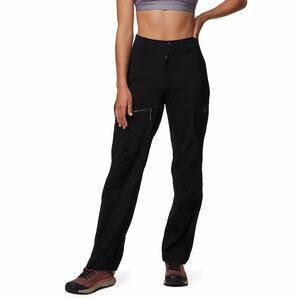 "If you want legit hiking pants that are stretchy and protect you from the elements but want a leggings look, check these out." 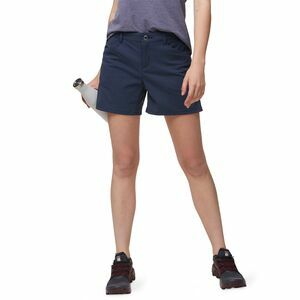 "Stretchy, quick-drying, comfortable hiking shorts." 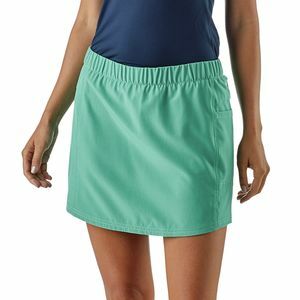 "Hiking in a skort is a total game-changer and this is one of my favorite ones. Not too long, not too short, very comfortable." "Very soft fabric, perfect length." "The shorts version of the super-popular Halle pants." 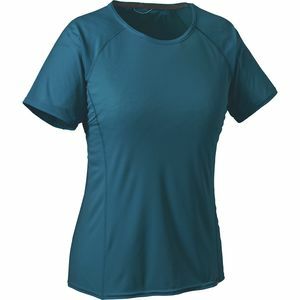 "Very lightweight breathable hiking or fishing shirt with a big vent in the back"
"Quick-drying, lightweight/breathable shirt with 15 UPF protection"
"Quick-drying, lightweight/breathable shirt with cooling fabric and 50 UPF protection"
"Extremely lightweight and breathable synthetic shirt. See full review on product page." 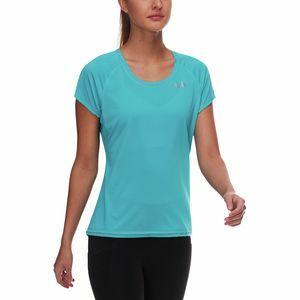 "Very lightweight and breathable synthetic shirt. Almost as light and breathable as the Better than Naked but not quite. Awesome shirt." 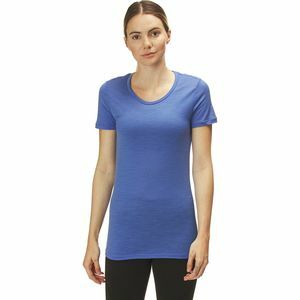 "Super light, breathable, and wicking merino wool shirt. 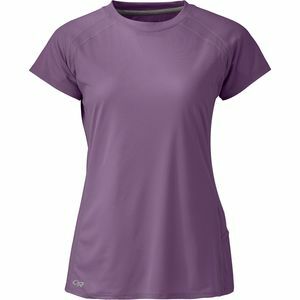 Stink free"
"Very lightweight and breathable synthetic shirt. 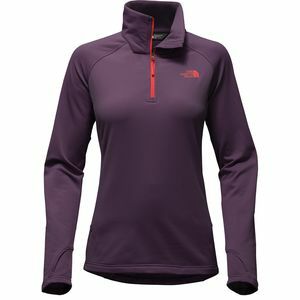 Almost as light and breathable as the Better than Naked and Patagonia Capilene Lightweight but not quite. "